Salmo Giant Chubby Darter: The original 6cm Chubby Darter was designed as a vertical jigging and ice fishing lure some years ago. About 18 months ago one or two of the professional anglers, employed as consultants by Salmo, suggested making this lure in a larger size. During the summer of 2003 the prototype 14cm Giant Chubby Darter achieved outstanding results when trolled, cast or even used as a large vertical jigging lure. 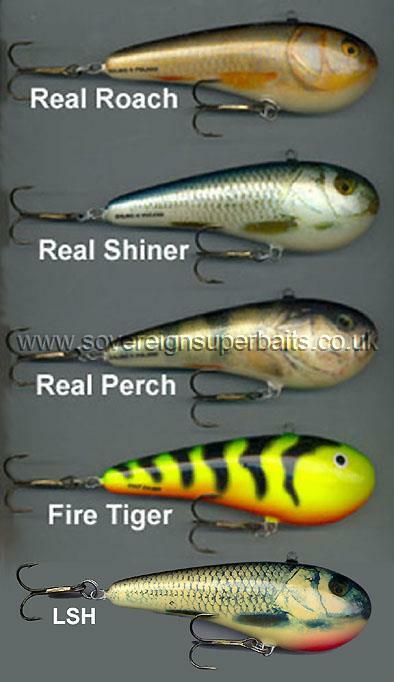 From the same stable as the infamous Slider, this lure has a proven pedigree and should prove an invaluable asset to every pike anglers armoury during the coming reservoir season.